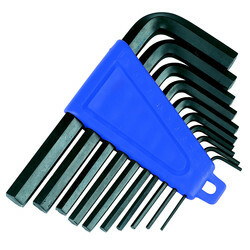 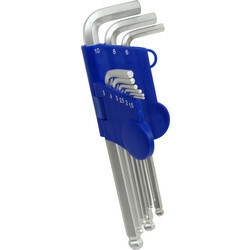 Drive heads of bolts and screws easily and quickly with our range of hex key sets at Toolstation. 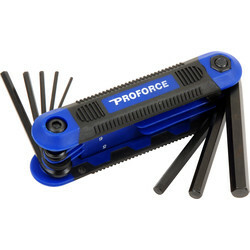 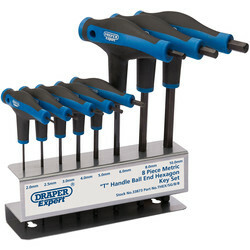 Find hex and Torx key sets from brands including ProForce, Draper, Wera and Hafu and in selected styles of ball end or T-handle. 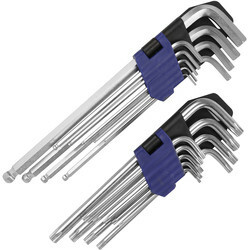 We offer hex key sets in metric, imperial, or a combination of both measurements so that you can find the exact size you need. 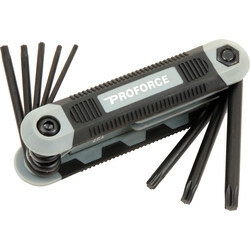 Choose T-handle hex sets if you need a grip, such as the HaFu T-handle hex key set with ergonomic bi-component, soft grip T-handles and a short side blade for greater accessibility. 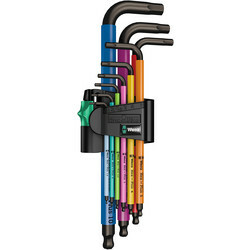 Find ball end hex key sets, including the Wera ball end hex key set with up to 20% extra torque and easy to identify multicolour sleeves. 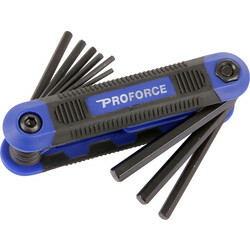 Tradesman that require a smaller, more easily portable hex key set should choose a folding hex key set, such as the pocket sized folding hex key set and Torx key set that holds 8 hex keys in a non-slip body. 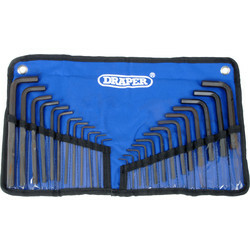 Alternatively go for the Draper hex key set which holds 13 metric and 12 long reach imperial keys, all packed in a vinyl storage roll. 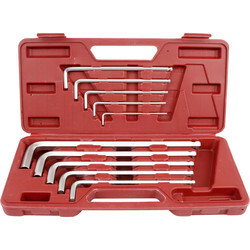 Spend over £100 online to benefit from free delivery or click and collect from your closest Toolstation branch.